In 1968, in at time long before paddle shifts and DSG transmissions the new Porsche „Sportomatic“ was far from being an instant success. At that time, an automatic gearbox shifted rather slowly and needed even more fuel. Some Porsche enthusiasts still liked the idea of a clutch-free Porsche. One of them was a well-off Swiss who ordered the top-of-the-line 911 S with sportomatic transmission at Swiss Porsche importer AMAG. 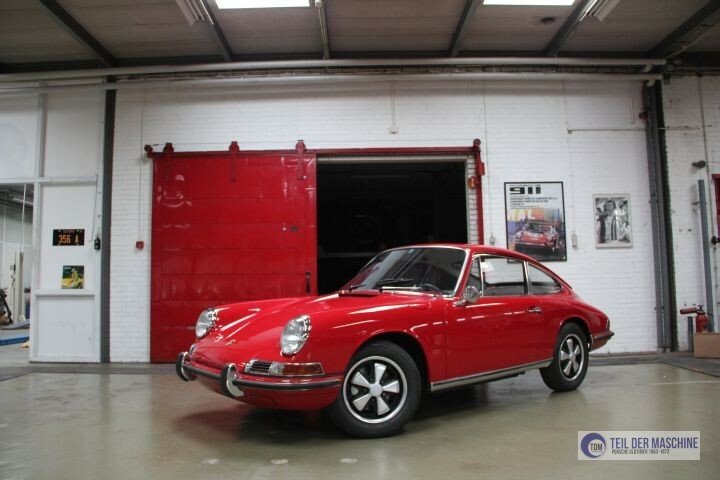 As colour he chose „Polorot“ (Porsche colour code 6802) – a colour similar to the red of the Swiss flag. 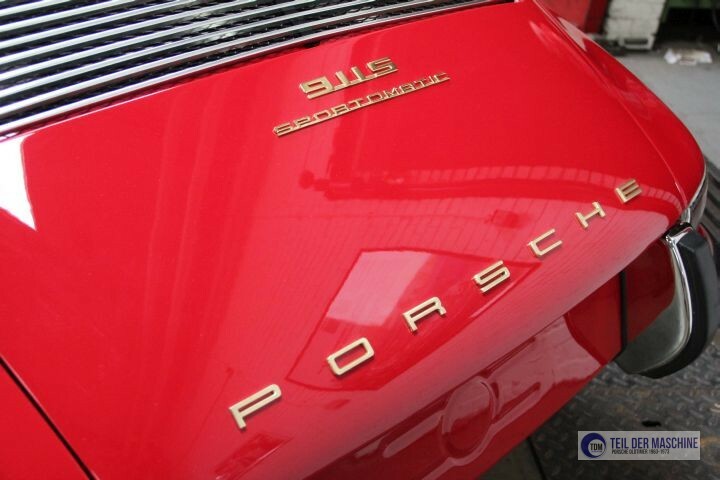 The Porsche semi-automatic transmission was introduced in model year 1968 for all 911 Porsches. Sportomatic-Porsches had no clutch pedal. The clutch was activated by touching the gear lever. The gear was still engaged manually. 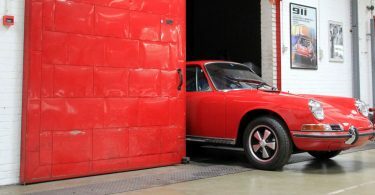 After a rather contemplative life in Switzerland, the red 911 arrived in Holland decades later. There the car has been carefully restored in recent years. Shortly before the restoration was finished I visited the car and its current owner Frans who was willing to answer my curious questions. TDM: A 911 Sportomatic S – how did you get such a rare car? 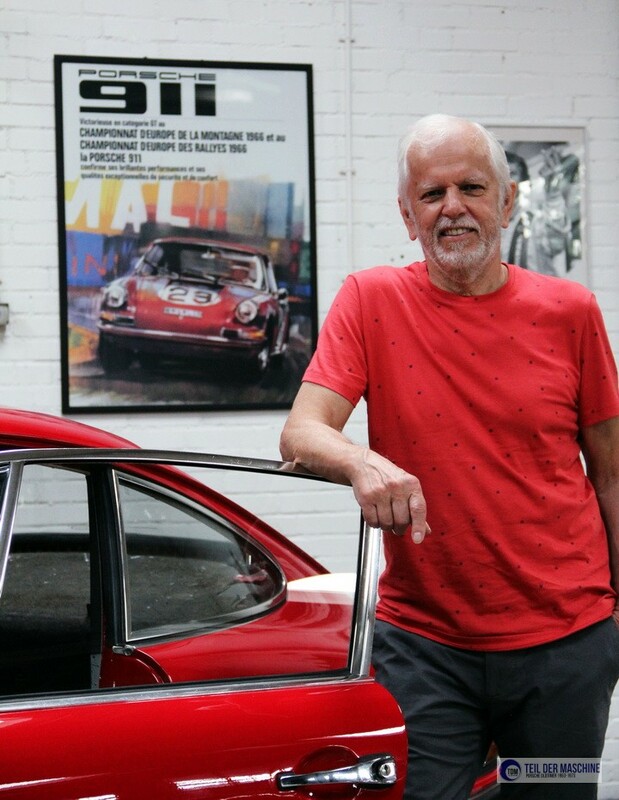 Frans: I swapped the car for a 1969 S-engine plus a few Euros in 2002. In retrospect, that wasn’t a bad deal. 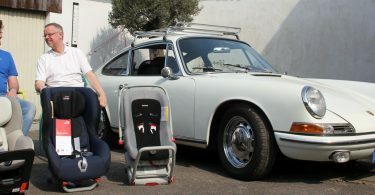 Frans from Holland has restored the 1968 911 S sportomatic. TDM: Sounds like a bargain. How was the condition of the car? Frans: The car was in its original condition when I got it. It had the original 1968 Fuchs rims, original engine and matching original Sportomatic transmission. Even the ignition was original. I had it repainted in 2007. Since I had other restoration projects to finish, I then put it away for some years. When I resumed the restoration in 2017, I noticed that the car had too much epoxy primer on it in several places. This led to some not-so-nice gap dimensions especially around the doors. I then decided to sand down the brand new 10 year-old paint and filler and had everything repainted again. Frans: The Sportomatic was not my first restoration and I wanted the car to be as original as possible. Sometimes you have to bite the bullet. The new paint job in Polorot is just great. Frans´911 S sportomatic: Painted 2007, repainted 2017. 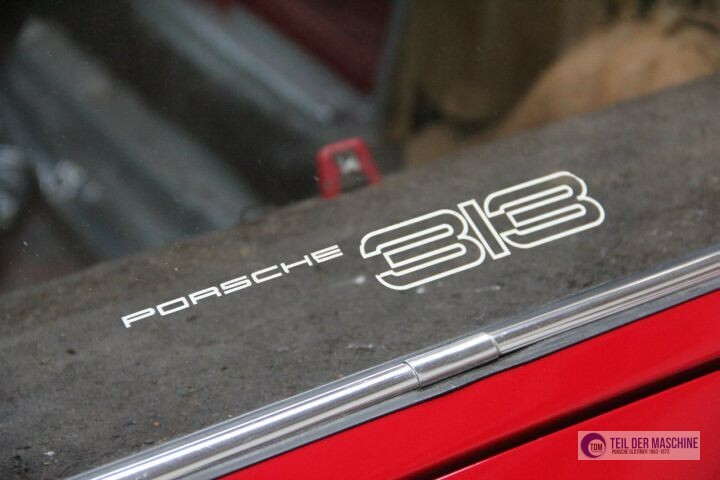 „Porsche 313“ (or Porsche 3.3?). The unusual sticker on the original rear window of the 911 S is a mystery. Can anyone solve it? TDM: What else is special about your car besides the Sportomatic? Frans: Interestingly, the Sportomatic is listed as a „Sprort-o-matic“ in the Kardex. As usual with Porsche 911s of these years of construction, there are no really spectacular features apart from the semi-automatic transmission. According to the Kardex, the car was delivered with speaker, antenna and interference suppression material, but WITHOUT radio. The swiss first owner then installed the contemporary Blaupunkt radio. He also ordered a tinted windscreen and genuine leather seats. The leather sofas – unfortunately no Recaro-S seats – are still in the car. This also applies to the rest of the interior, which was in excellent condition. The 911 has not only a crack-free dashboard cover but also the original door panels. AMAG delivery sticker on the rear latch panel. The Swiss took (and take) it exactly. Unfortunatley there were loudspeakers mounted in the rear backwall panel. I reworked this to the original. The Webasto heater is part of the standard equipment. But I will not connect it for security reasons. At that time, numerous 911s burned down due to heating defects in the gasoline-powered heating system. The heating exhaust was replaced by a new one. This makes sense because it is the only visible part of the Webasto heating system. 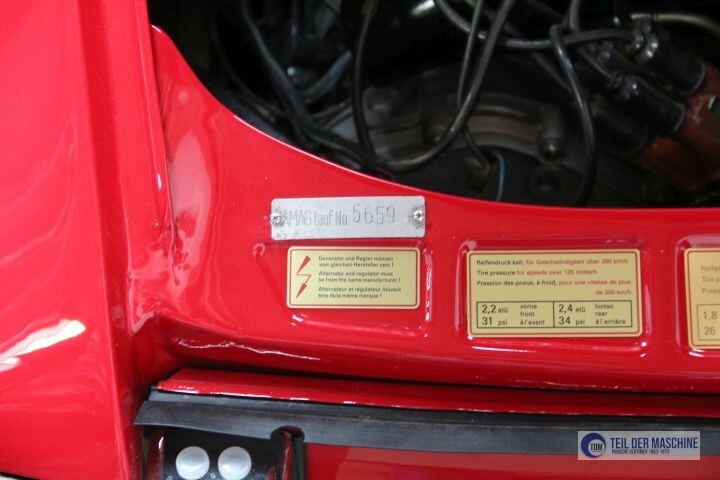 At last there are two small special features: The car has the original AMAG badge from 1968 on the rear latch panel and there is a sticker „Porsche 313“ on the rear window. A sticker I have never seen on any Porsche I know. TDM: How many Sportomatic Porsches have been built in MY 1968? 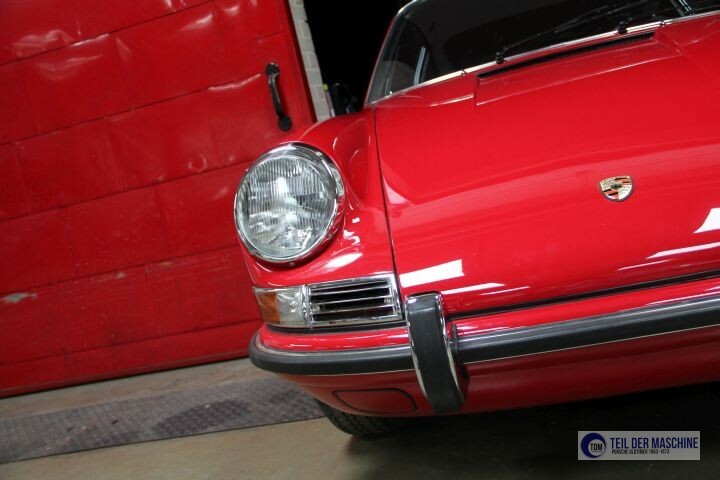 Frans: The 911 S was not delivered to the USA in 1968. Therefore very few S Sportos were produced. Of the 227 911 S Targas and Coupés built with Sportomatic in MY 1968, less than 100 should have survived with the original automatic transmission. The Sportomatic version was unpopular because it was unsportsmanlike. Many ex-sportos today drive around with manual gearshifts. 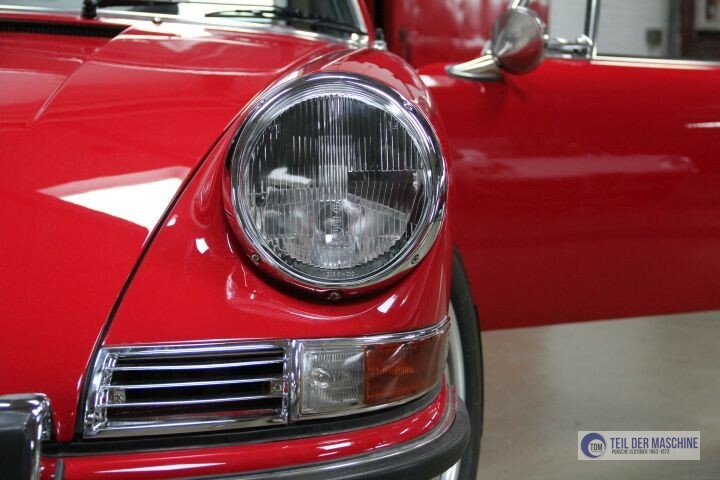 Here´s looking at you kid – original H1s on the 911 S.
TDM: Where will we meet you and the S in the future? Frans: When the car is finished, it is more of a collection than a driving car. I want to put the S into good hands and am already working on my next project. TDM: How much does a prospective customer with a well heated garage have to invest? A colour-coordinated garage door is of course a must for potential buyers. Frans: It is difficult to set a price for the car because there are virtually no offers for Sportomatic S on the market. After completion, the car will be worth around 200,000 euros. A lot of money, but also a car that never comes up twice at a Porsche meeting. TDM: I keep my fingers crossed for the sale and thank you for your time! If you are interested in Frans 911 S Sportomatic, you can contact him in English or Dutch by e-mail: frank1401s@outlook.com.